Download Free PUBG Tournament Flyer PSD Template. 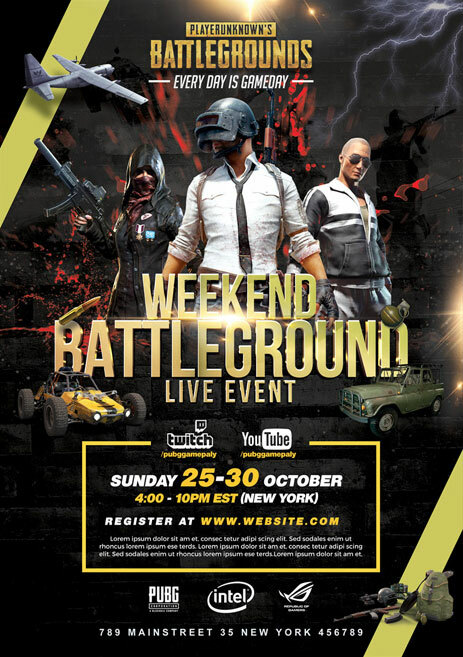 This PUBG Tournament Flyer PSD Template designed to promote any kind of video games events for your gaming channel and other events. Just download the PSD file and edit text based on your event need using Adobe Photoshop. All main graphic elements are editable. This PUBG Tournament Flyer PSD Template is available for Free Download.